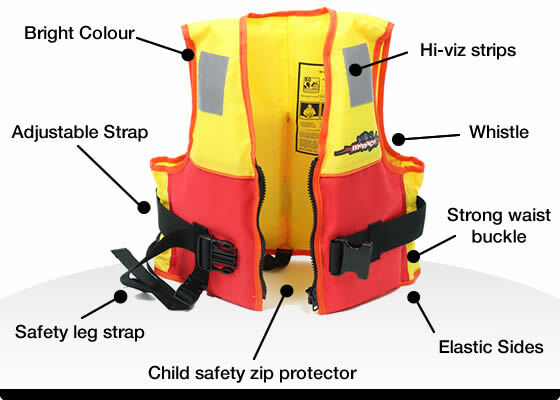 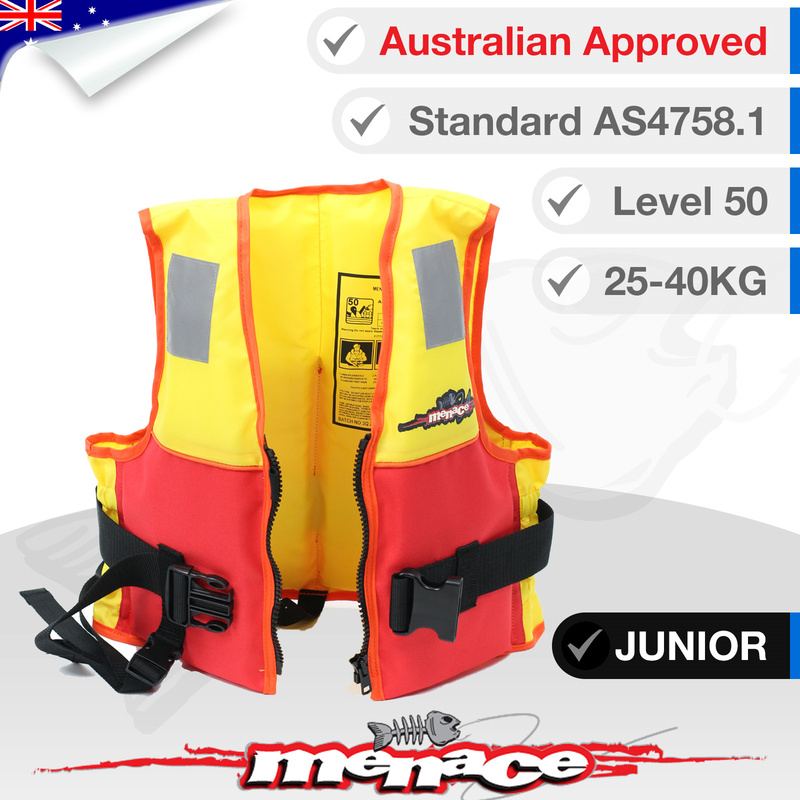 This Hercules Life Jacket meets the latest Australian Standard (AS4758.1) to give you peace of mind when around water with your children. 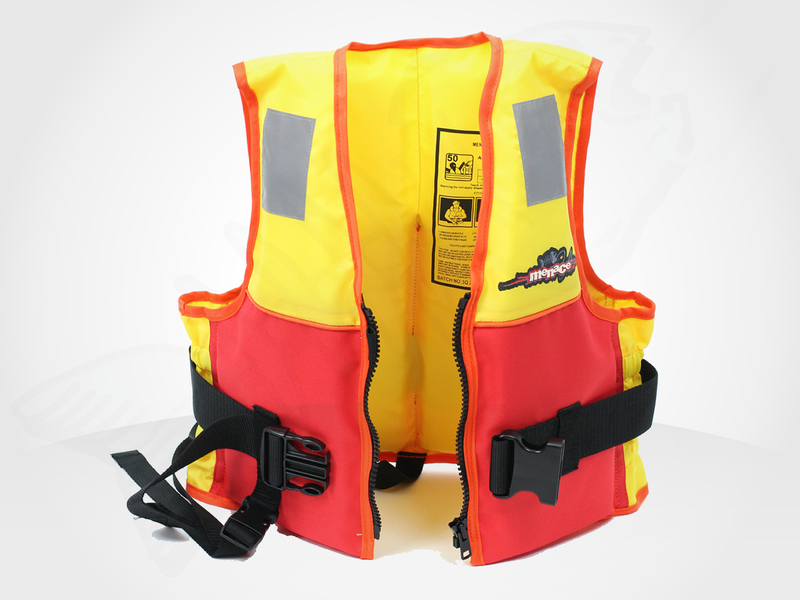 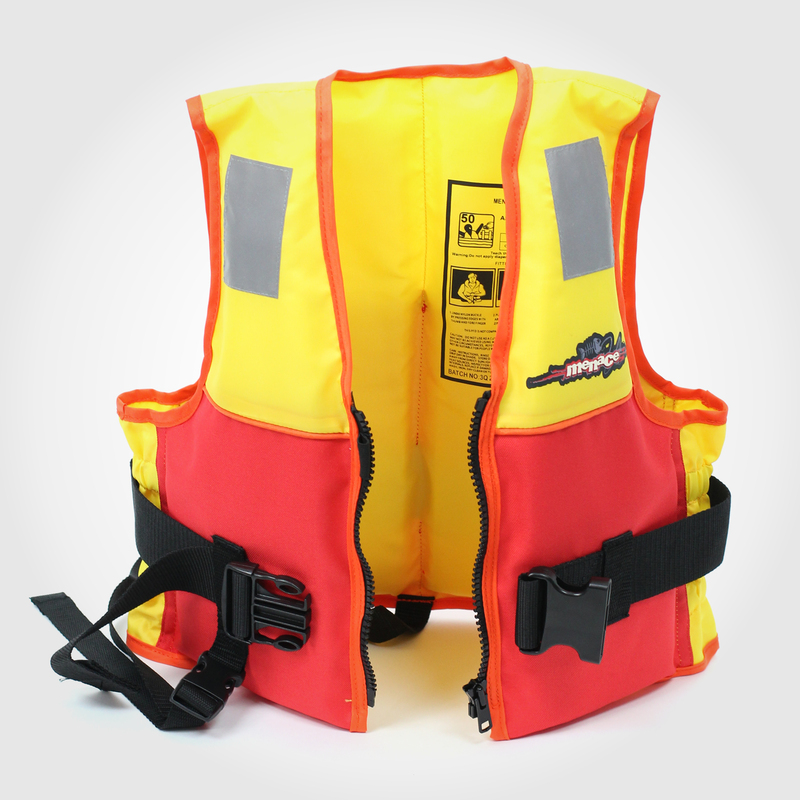 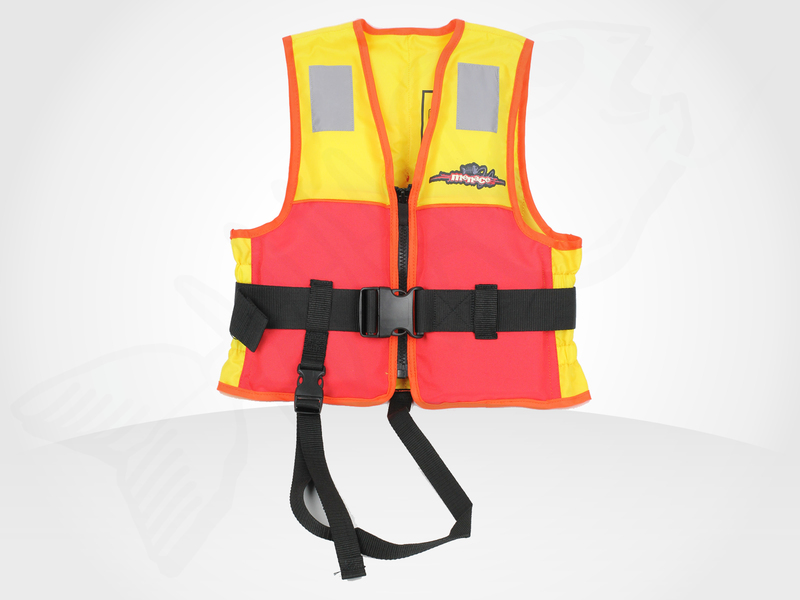 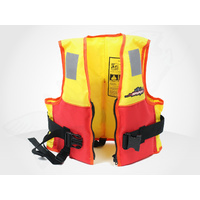 A Level 50 (Type 2) Life Jacket is designed with your safety and comfort in mind. 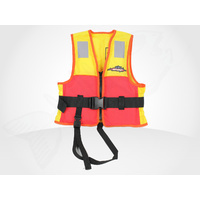 Made with a bright safe visible colour and large arm holes for freedom or movement, this safety vest can be worn all day long. 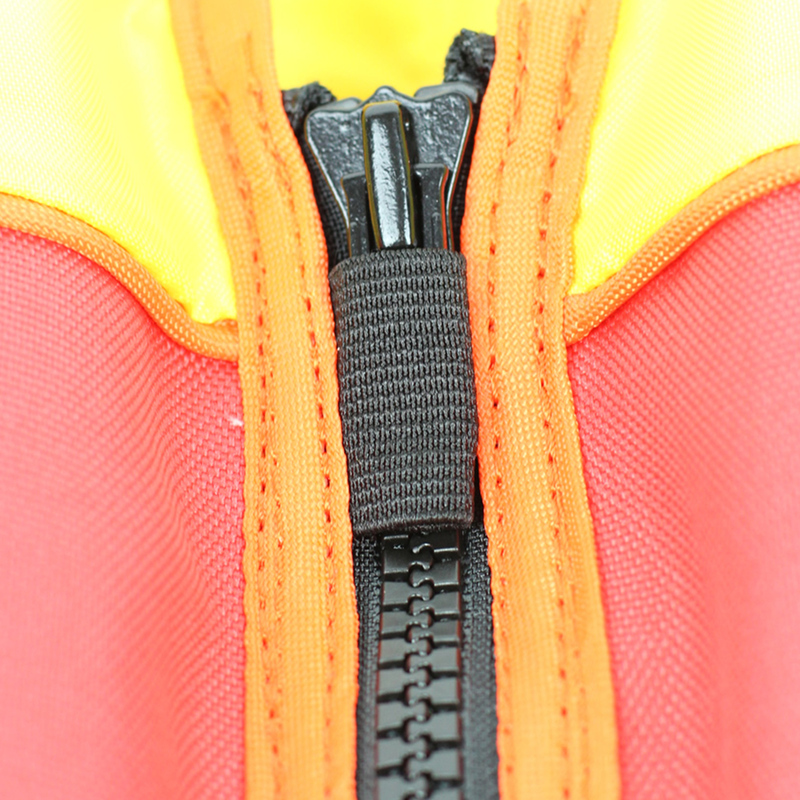 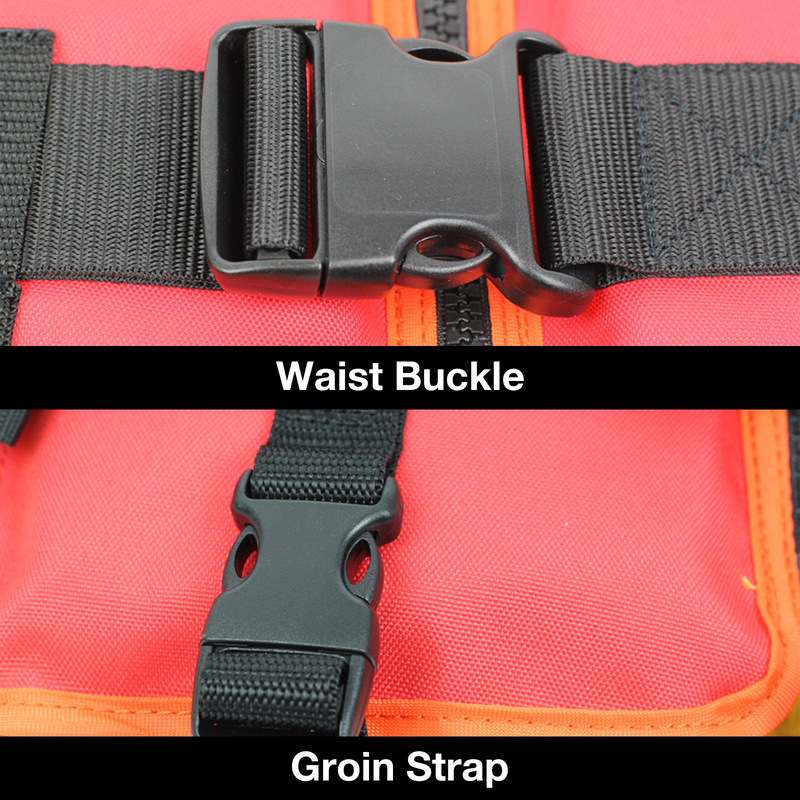 It also features an adjustable strap so the Life Jacket can be secured around various body shapes. 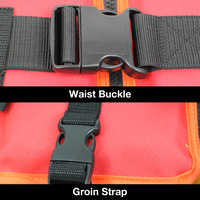 For added safety it includes a safety whistle, a strong zip, HI-VIZ strips and strong buckles. 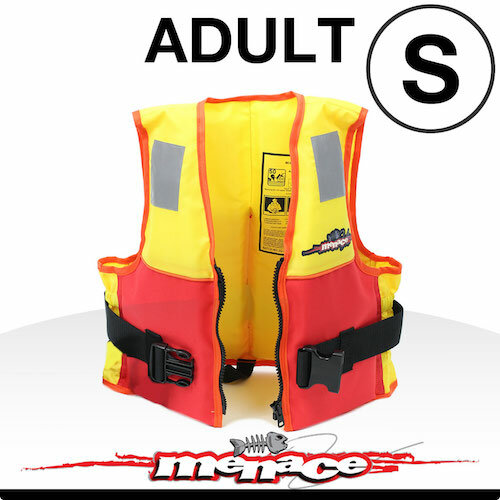 Because this is a child jacket, it has the very important leg/groin strap to reduce the risk of the jacket floating up over the child's head when in the water. 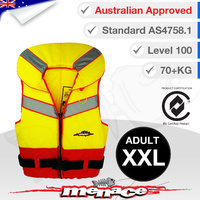 We have purchased a junior size for our son as well as a small adult size for me for waterskiing & boating. Perfect sizing and VERY visible in the water. 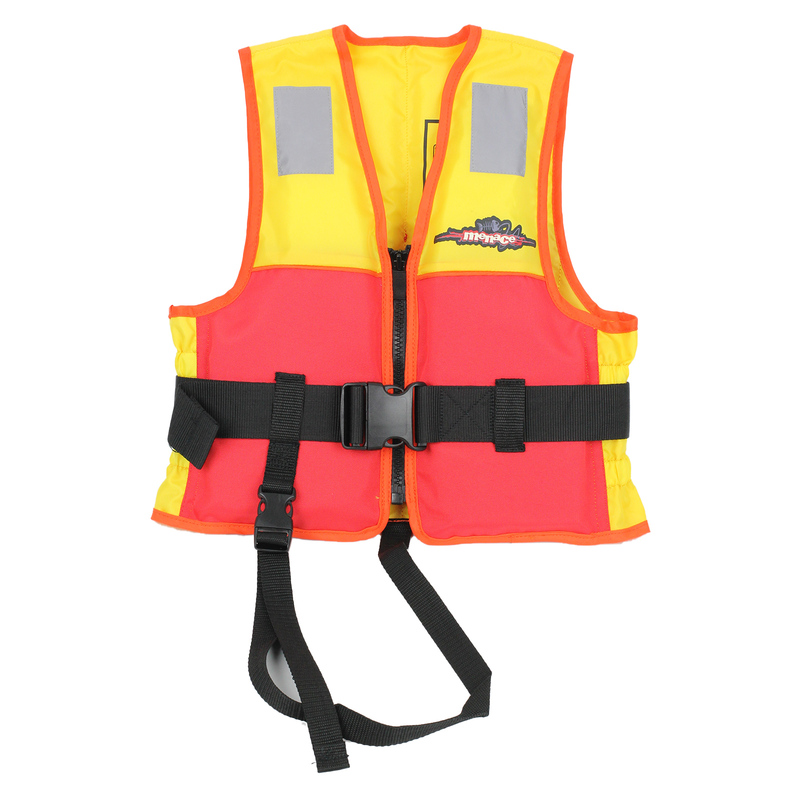 Highly recommend this vest. 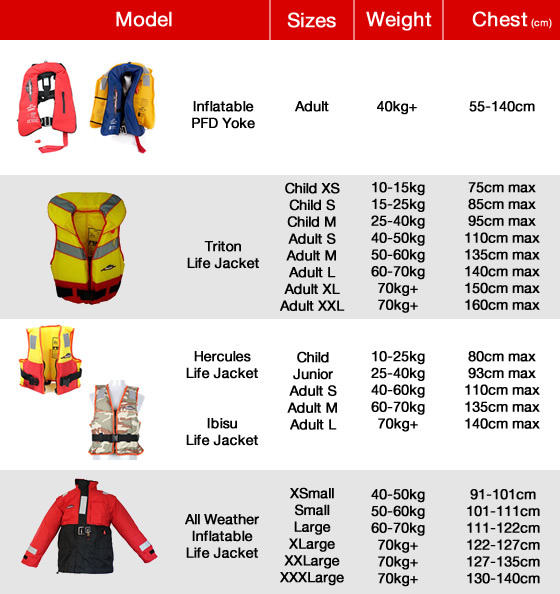 Sizing is quite generous, my son is 40KG, slim/tall build and he'll wear this for at least another 2 years, I am 65KG and small adult is perfect size for me, a medium would be way too loose. 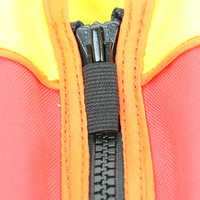 Great product exactly as described, especially like that the foam is not particularly rigid like some can be. 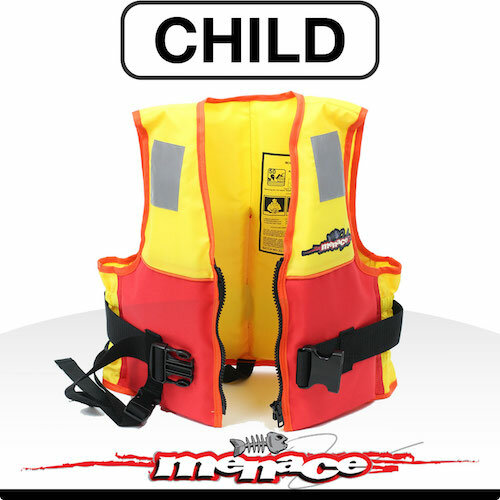 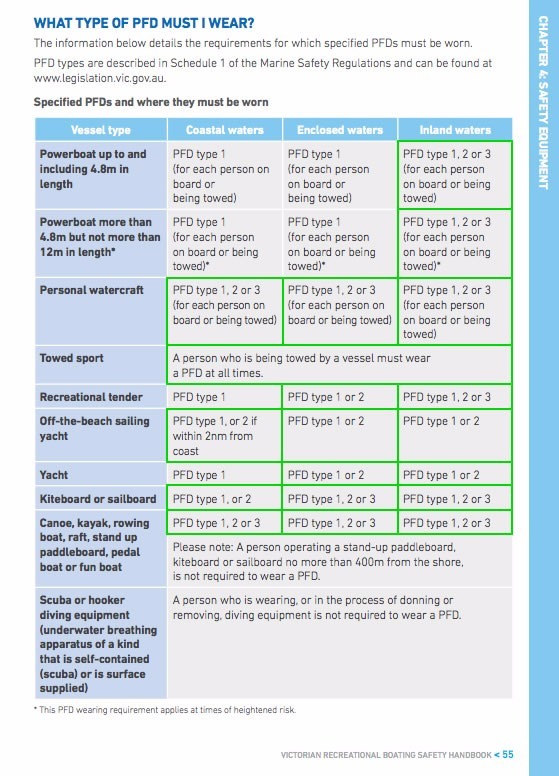 So it is comfortable to wear and paddle whilst wearing...this is a big plus since we want our child to comply with its use! 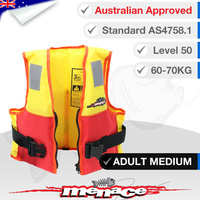 Efficient delivery also. Found this jacket very useful for some holidays where little kids would play in the water for hours on end; with this, no need to be within arm's length of the 3 yo, just within eyesight. 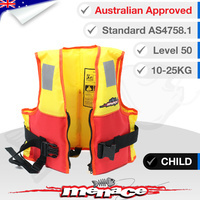 Made for a better holiday all round, for the kid and for us. 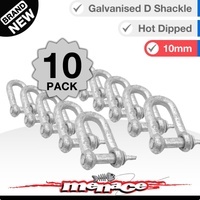 Menace's service, support, and delivery all excellent.